Enjoy unforgettable moments on board of a sailing yacht or a catamaran with skipper! Our skippers will take you to hidden places, give you tips and will show you the best restaurants. Are you dreaming of a sailing holiday, but you have no licence or are a new comer without the practice? Even if you have no experience, one of our skippers will take you to the most beautiful bays and ports in Croatia and Turkey. Our skippers will show you hidden sites, insider’s tips and know the best restaurants in the area. As you wish, learn more about sailing a yacht or just relax and enjoy. People with a sailing license who simply want to spend relaxing days on a sailing yacht without taking responsibility for the ship and crew. People without a sailing licence who want to spend their holidays on a sailing yacht or catamaran. Just enjoy a wonderful sailing trip with secluded bays, beautiful beaches, romantic sunsets...! Our skippers cost € 150,-/day on average, divided by the number of people sailing with them. This is an affordable luxury and safety factor. 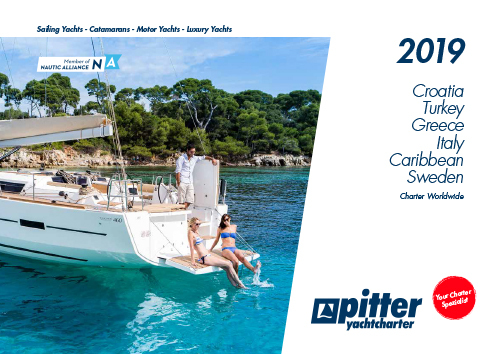 Charter your favourite yacht and simply book a skipper and enjoy a carefree holiday while the skipper takes care of your technical sailing wishes. For even more comfort our Crewed Charter offers with skipper and hostes, are at your disposal.